The cello (/ˈtʃɛloʊ/ CHEL-oh; plural cellos or celli) or violoncello (/ˌvaɪələnˈtʃɛloʊ/ VY-ə-lən-CHEL-oh; Italian pronunciation: [vjolonˈtʃɛllo]) is a string instrument. It is played by bowing or plucking its four strings, which are usually tuned in perfect fifths an octave lower than the viola: from low to high, C2, G2, D3 and A3. It is the bass member of the violin family, which also includes the violin, viola and the double bass, which doubles the bass line an octave lower than the cello in much of the orchestral repertoire. 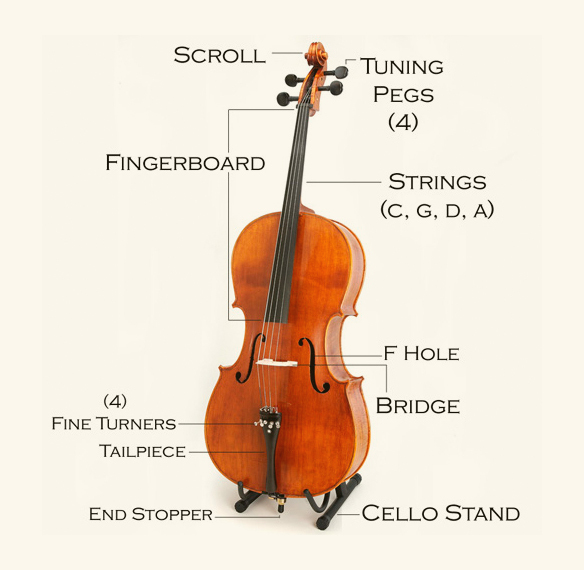 After the double bass, it is the second-largest and second lowest (in pitch) bowed string instrument in the modern symphony orchestra. 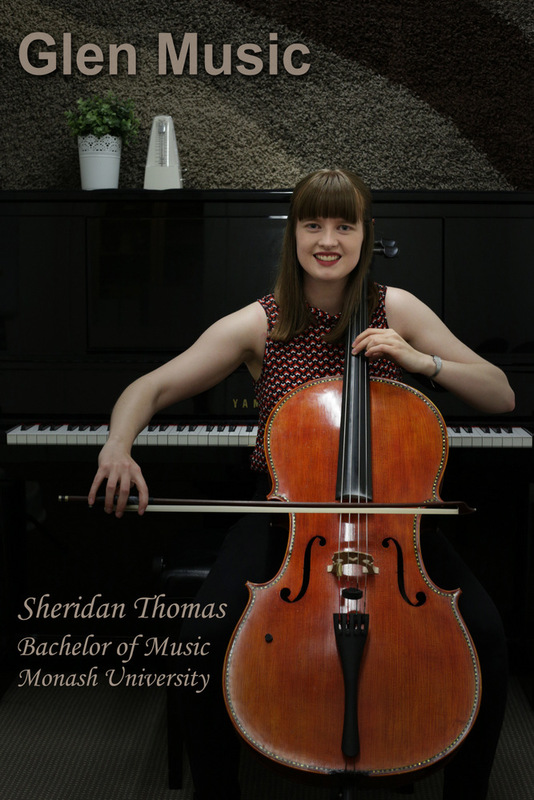 The cello is used as a solo instrument, as well as in chamber music ensembles (e.g., string quartet), string orchestras, as a member of the string section of symphony orchestras, and some types of rock bands. Music for the cello is generally written in the bass clef, but both tenor clef and treble clef are used for higher-range parts, both in orchestral/chamber music parts and in solo cello works. A person who plays the cello is called a cellist or violoncellist. In a small classical ensemble, such as a string quartet, the cello typically plays the bass part, the lowest-pitched musical line of the piece. In an orchestra of the Baroque era (ca. 1600–1750) and Classical period (ca. 1725–1800), the cello typically plays the bass part, generally doubled an octave lower by the double basses. In Baroque-era music, the cello is often used to play the basso continuo bassline, typically along with a keyboard instrument (e.g., pipe organ or harpsichord) or a fretted, plucked stringed instrument (e.g., lute or theorbo). In such a Baroque performance, the cello player might be joined or replaced by other bass instruments, playing bassoon, double bass, viol or other low-register instruments.